We've all heard the expression "monkey see, monkey do" - but actually, that's a myth. Imitation is very rare in the animal kingdom and - apart from humans - the animal that us best at imitation is the dolphin. 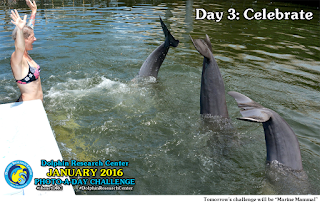 In our second study, called Switching Strategies: A Dolphin's use of Passive and Active Acoustics to Imitate Motor Actions, we discovered that when a dolphin could recognize the behavior by its characteristic sound, he did so. When he did not, he chose to use his echolocation in order to answer the question. This study was published in Animal Cognition. 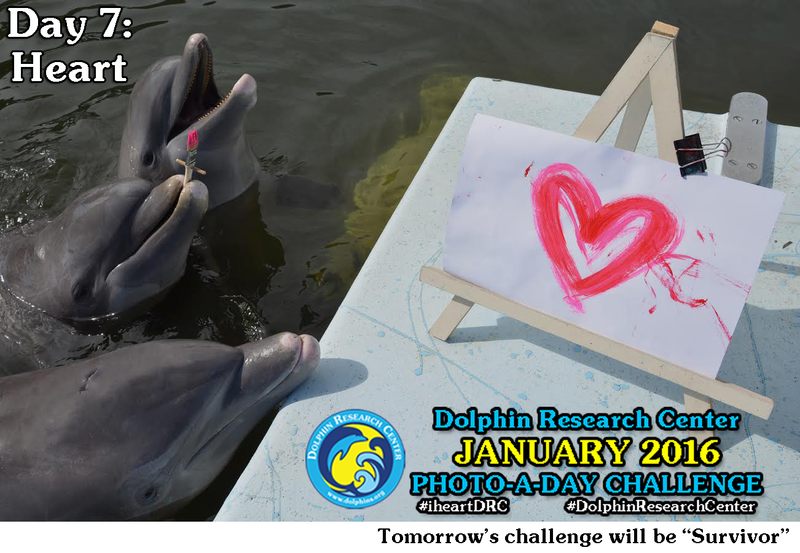 With these studies, DRC has shown that dolphins not only have the ability to imitate, but can imitate with a kind of problem-solving flexibility that's never been seen outside of humans. Although these studies are very popular in the animal cognition world, DRC also gives our guests the opportunity to learn about the dolphins' imitation abilities during our narrated behavior sessions and interactive programs. 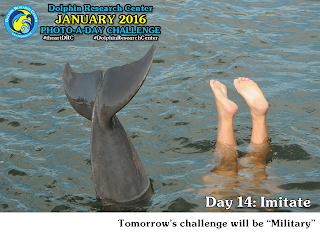 We can ask the dolphins to imitate an array of behaviors, such as laughing, waving, spinning, spitting, splashing, bobbing up and down, doing a handstand (as you see in this photo), and more. 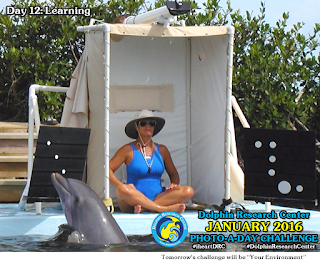 With no additional information given to the dolphins, they have demonstrated that they can watch a subject then copy that specific behavior. It's a fun experience for our guests, and ties the knowledge they gain into a memory to be shared with others. Look around you. What is in your environment that shouldn't be? 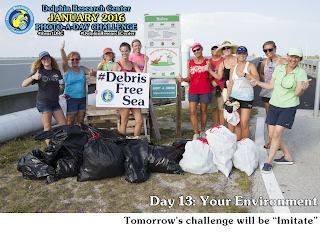 It's important to remember that every action we take has the potential to harm or benefit our environment. 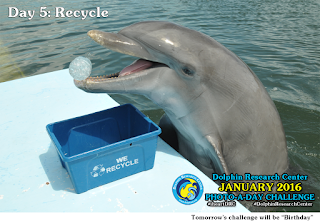 Choose to be environmentally responsible by cleaning up your surroundings, reducing, reusing and recycling whenever possible, and tell others about the importance of keeping our environment and oceans clean - not just for us but for our animal friends too! As a marine mammal education and research facility, Dolphin Research Center is dedicated to learning as much as possible about our animal family. This is done via our research, observations, and interacting with the dolphins and sea lions. 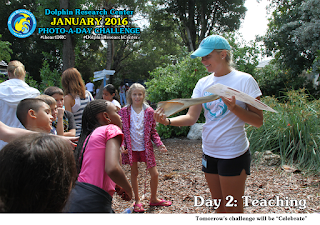 Additionally, we believe it is imperative to give our guests learning opportunities. The biggest threat to wild animals is people. Direct experience with animals inspires people to connect with and care about them, and to conserve the environment in which they live. The number of marine mammals that live in human care is a tiny percentage of the population that lives out in the wild. However, the impact of these “ambassadors” is huge. 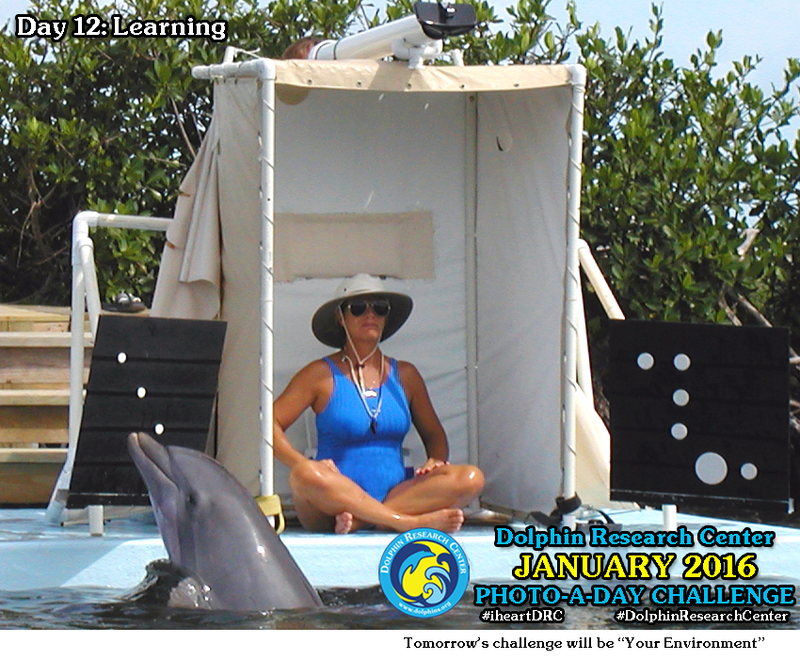 The bottlenose dolphin, whose scientific name is Tursiops truncatus, is probably the dolphin most familiar to the general population because of its adaptability of living in human care. 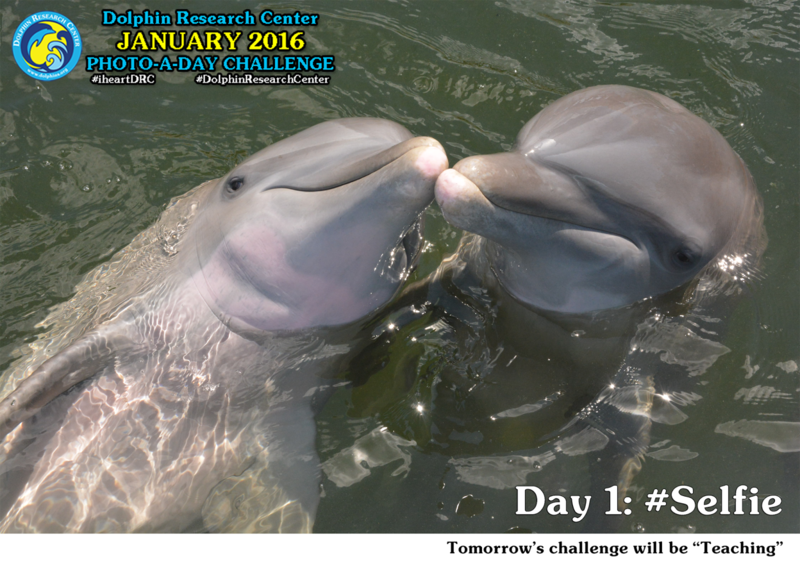 Bottlenose dolphins can be seen in various show and research facilities and have been the "stars" of many movies and television shows. 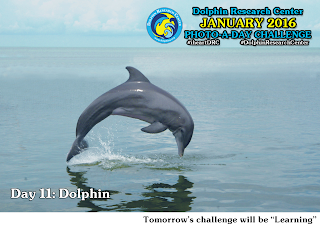 Because of their seeming curiosity about people and their close proximity to various shores and ocean bays, this species is the most studied of all delphinids. 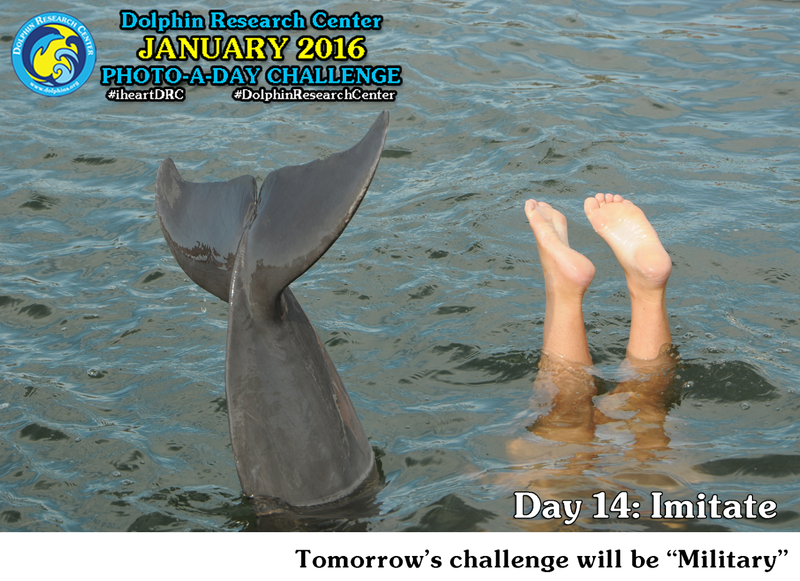 The bottlenose is the dolphin most often sighted off the coast and from small boats. In some places in the world, such as Monkey Mia in Australia, wild bottlenose dolphins choose to come into bays and interact with human beings. 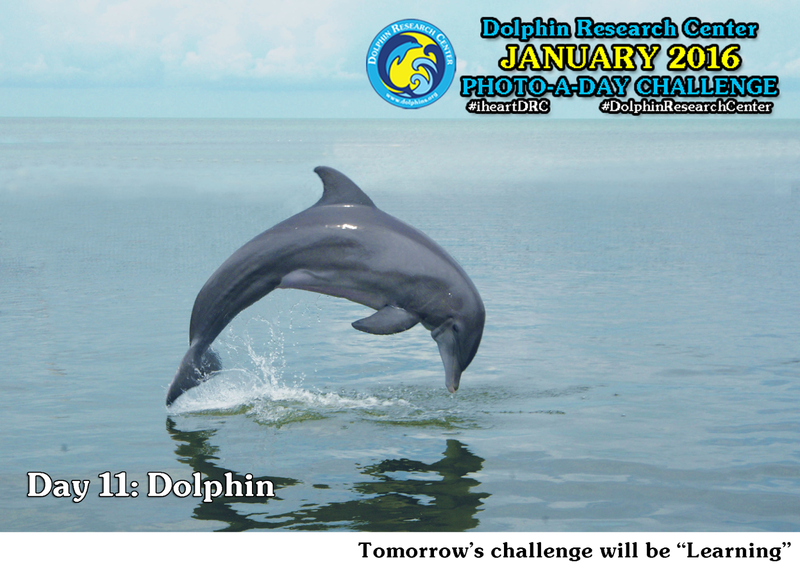 Bottlenose dolphins are the largest of the beaked dolphins. There is a definite crease where the rostrum (snout or beak) joins the melon, and the shape of the mouth seems to form a permanent smile. Their bodies are dark gray on the back and sides, fading to a pinkish white belly underneath. 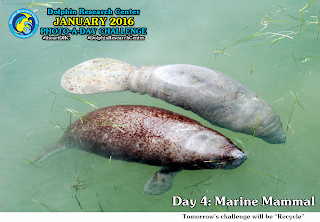 Their dorsal fins are falcate, curving slightly to the back. Pectoral fins and flukes are pointed at the tips. 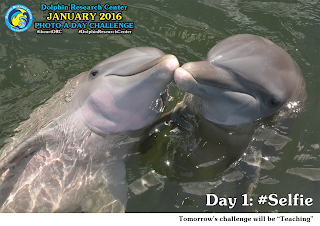 Atlantic bottlenose dolphins are usually 6 to 9 feet long at maturity; the Pacific variety often may be larger. The largest member of the entire family Delphinidae is the Orca, better known as the killer whale. 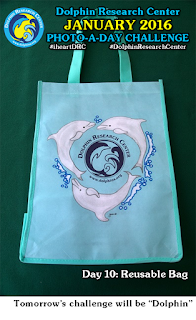 Get this reusable bag in our gift shop! 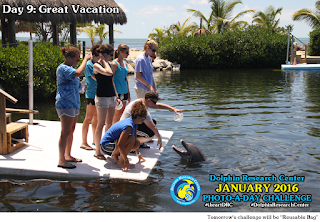 From swimming with dolphins to learning about marine mammals – one of the best vacations you will ever take is one to the fabulous Florida Keys to meet our animal family. Spend a week at Dolphin Research Center for DolphinLab or Dolphin Camp or just stop by the next time you're in South Florida. It's an experience you won't regret! The eighth day of January is always special. It marks the day of Jax's arrival to his forever home at Dolphin Research Center. Found orphaned and alone in the St. Johns River in Jacksonville, FL, Jax was the victim of a shark attack when he was estimated to be under a year in ago. 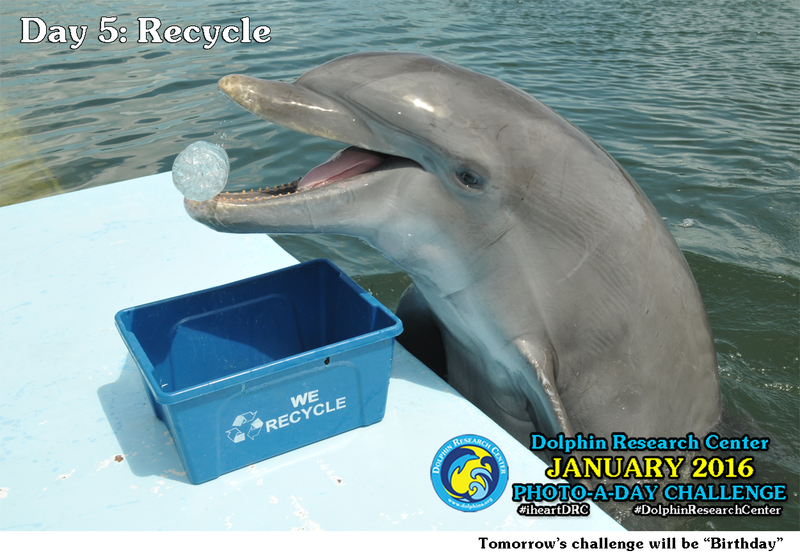 After rehabilitation, Jax was deemed nonreleasable by the government due to his age and we were blessed to welcome him to the DRC pod. In the eight years since we met this little boy, he has shown us the true meaning of the word "survivor". Regardless of the hardships he faced in his past, Jax is always enthusiastic, motivated, and ready to take on any challenge. His spirit is not only inspiration to us but also to friends who will be visiting today - wounded warriors. Today, on Jax's anniversary, we welcome Soldier Ride – a rehabilitative cycling event designed to challenge our wounded warriors to get back in the saddle, both literally and figuratively. Today, in the hearts of DRC, we celebrate the true meaning of the word "survivor". What does "survivor" mean to you? 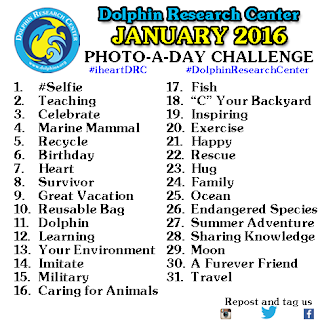 Show us with #iHeartDRC. 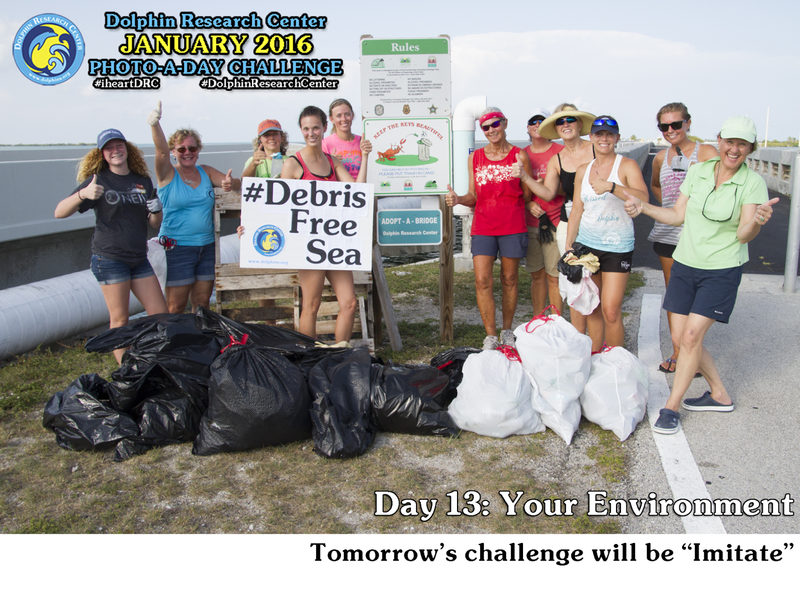 Show us a photo on Facebook, Instagram, or Twitter. Today, Gypsi turns nine – and she is looking oh so fine. 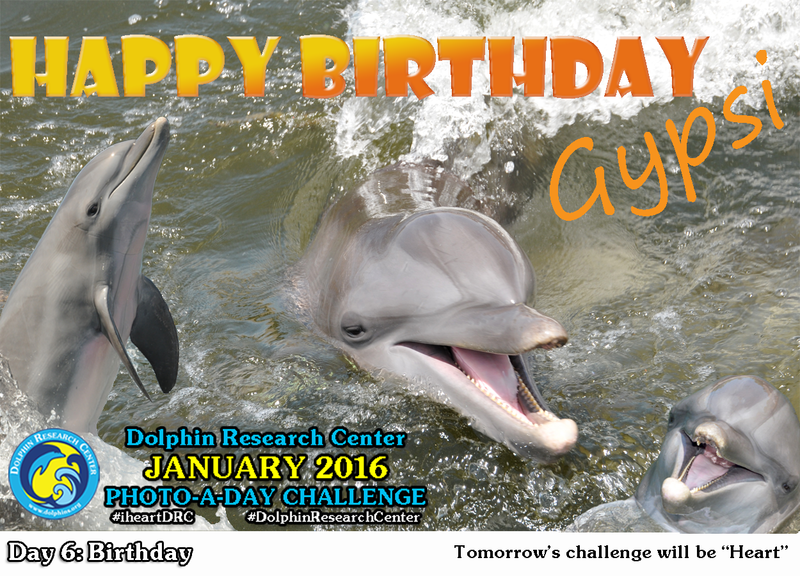 Celebrate Gypsi's birthday by sharing a photo of your own birthday on Facebook, Twitter, or Instagram using the hashtags #iHeartDRC and#DolphinResearchCenter. Dolphins... and sea lions.. and Manatees... Oh my! 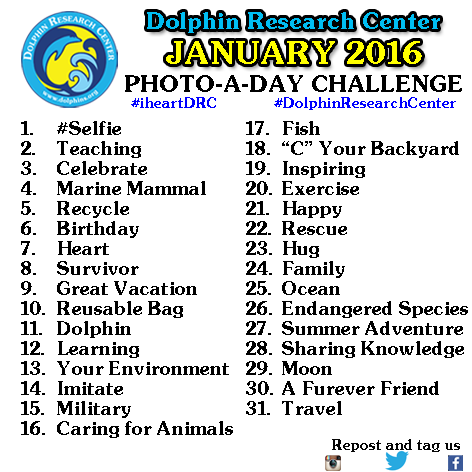 Post a photo of your favorite marine mammal (or one you think is pretty cool) on your Facebook, Twitter, or Instagram timeline using the hashtags #iHeartDRC and#DolphinResearchCenter. 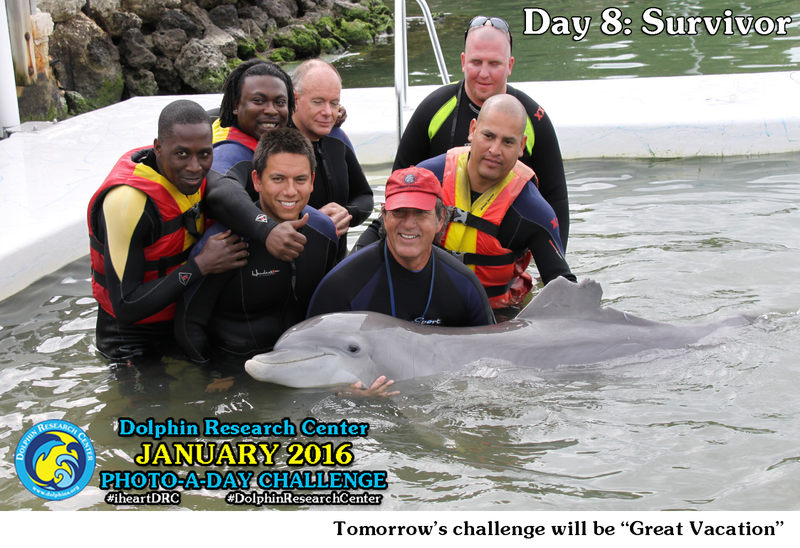 Have you celebrated meeting, playing with, or swimming with dolphins? Show us your daily challenges on Facebook, Twitter and Instagram.